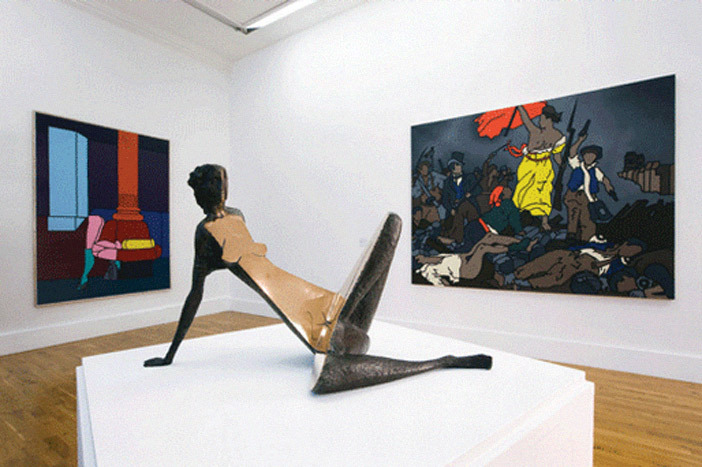 In 2010, first-time arts sponsors in Ireland BNP Paribas agreed to support IMMA’s largest ever exhibition, ‘The Moderns’ and to leverage the sponsorship with a promotional campaign to match its scale. The activation programme saw IMMA advertised on TV for the first time ever, as well as attracting media coverage for the exhibition across the world. 135,000 people came to see the exhibition, and surveys indicated that 28% of those had never been to IMMA before. A seminal book on Modernism in Ireland was published, and a stand-alone website was developed by IMMA. Dipping its toe into the Irish arts sponsorship waters for the first time with its support of IMMA’s recent ‘The Moderns’ exhibition has seen BNP Paribas become associated with one of the most celebrated and high-profile cultural events in Ireland over the last few years. The Moderns was a major exhibition of modern art from IMMA’s own collection, joined with supporting material from a variety of other historical State sources. The exhibition, which took over most of the museum from October 2010 until April 2011, attracted 135,000 visitors, 28% of whom had never been to IMMA before. According to Hugo Jellett, Head of Development at IMMA, the exhibition had a profound effect on the country culturally and was also hugely important for the museum itself, which, he says, has not done quite as much for Irish art as it has for international art over the last 10 years. He stresses that BNP Paribas’ support had a big impact on how the museum was able to promote and enhance the exhibition, which ultimately turned it into one of its most successful events to date. Gilles de Decker, CEO of BNP in Dublin, explains that when the idea of sponsoring ‘The Moderns’ was presented to the bank, it was felt that the collaboration was a good fit to expand the philanthropic footprint of the group in a local context. “It was essentially an exhibition of the nation’s collection, the largest of its kind to date, and in that regard was an optimistic and celebratory project at a time that the arts required support,” he says. Without a sponsor in place for an exhibition there is always a possibility of compromise in some aspect of the show. “If no sponsorship comes, it can still take place, but the impact may not reach its potential” says Jellett. So, as a result of receiving a substantial amount of money from BNP Paribas, the museum was in a position to produce an important 500-page book on The Moderns and also had a budget to develop and run a TV and radio campaign. “Doing TV ads for art exhibitions is not something usually attainable,” says Jellett. “It helped snowball this whole promotional effect for the exhibition.” Another outcome was funding by the Department of Arts to create an online gallery.